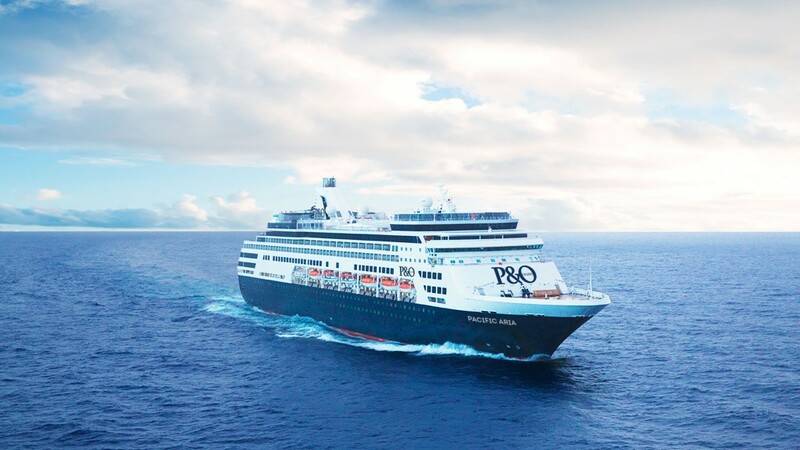 While recent deployments to Australian shores have been the domain of larger vessels, the two newest additions to P&O Cruises Australia’s fleet sailing year round in local waters are refreshingly smaller and more intimate. 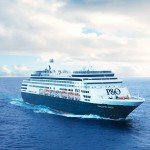 Pacific Aria and sister ship Pacific Eden both came to P&O Cruises from Holland America Line after being re-imagined to provide a more sophisticated experience over P&O fleet mates Pacific Jewel, Pacific Dawn and Pacific Pearl. This re-imagining is evident in features such as décor as well as the addition of extra formal dining areas. 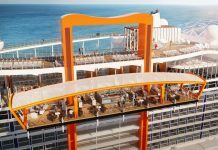 It has allowed the brand to mature without straying too far from its core roots of providing a fun, high-value cruise experience. 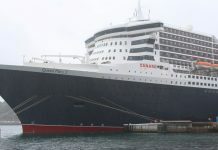 P&O make no secrets that its two newest ships are different and aficionados of the original fleet may need to adjust. 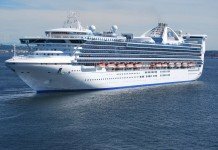 I am an experienced cruiser and had flown into Brisbane on the morning of embarkation. As we had booked transfers to the ship through P&O, we were promptly greeted by a representative of the ship at baggage claim. This process was relatively fast however, and this is more of an indictment on Brisbane Airport than the P&O greeting process, we were left to stand in the stifling Queensland heat for 20 minutes while other guests were located. The journey around to the pier was quick and we were onboard within 30 minutes of arriving in the terminal. The long walk to the ship through Portside Wharf remains a bugbear of mine especially in the heat of the summer, so I seriously recommend anybody with mobility issues to ask for assistance. 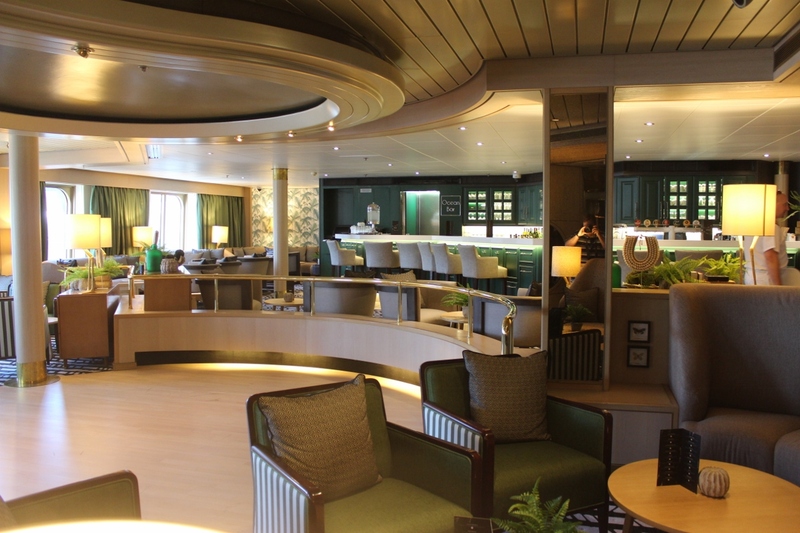 Guests on Pacific Aria are greeted with a classy atrium reminiscent of its former life with Holland America Line. 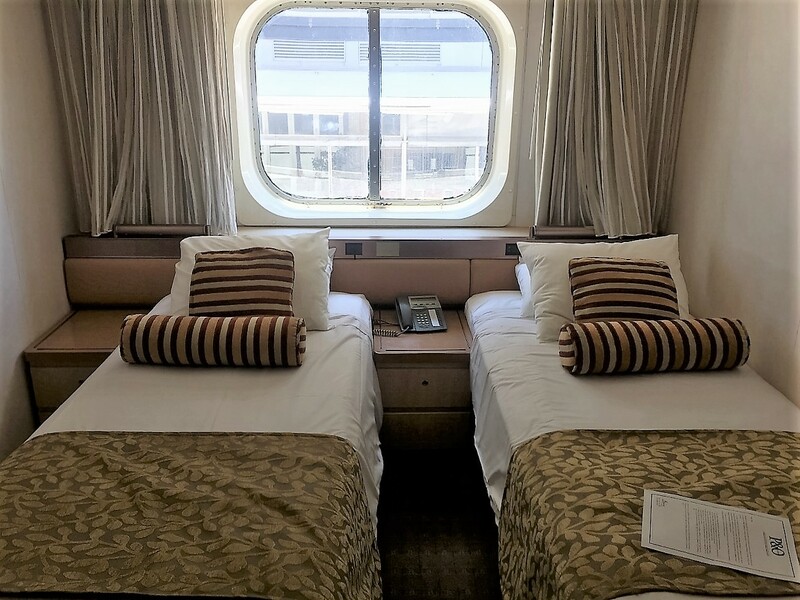 The feel onboard Pacific Aria and the difference to its new sisters is immediately noticeable. 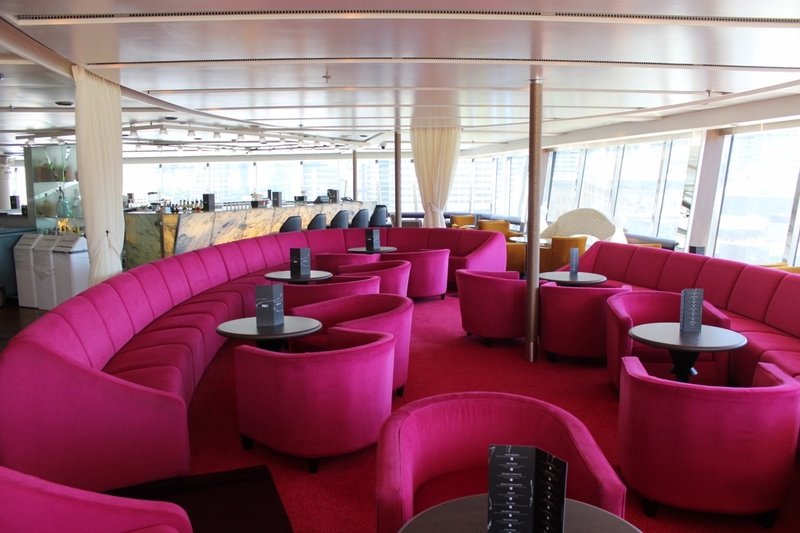 If you have cruised with Holland America Line before, it will be instantly familiar. 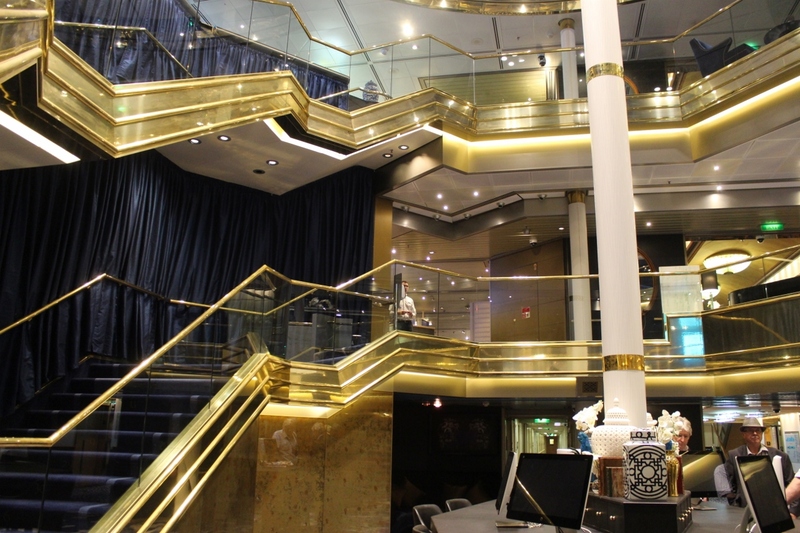 Entry to the vessel is straight into the corridors of cabins on Decks Four and Five, rather than the traditional atrium or public space welcome on ships such as Pacific Jewel. This positioning of the gangway doesn’t necessarily provide the same welcoming feel afforded on other vessels, with the entry providing a bit of a cold atmosphere for embarking guests. Nevertheless, the process was efficient and the elevators shuttle new guests fluidly to their floor. Our luggage that we had left with the porters was with us within 20 minutes of our arrival into our cabin. 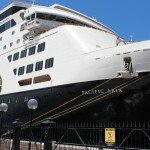 I am going to make a big call here and say that Pacific Aria would rank as having one of the best cruise ship beds I have ever slept on! I don’t know why I found it as comfortable as I did but for me, it was firm enough that it provided support while also soft enough to feel like you were floating on air. When i cruise, the bed is important and this one really worked for me. 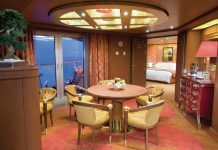 The size of my stateroom was generous with a full-size two seater lounge and separate desk/dressing table. The room also came with a large sized wardrobe that would suffice on even the longest of Aria voyages. The bathroom is large enough to feature a moderate bathtub with shower over the tub. The intelligently designed space ensures a spacious open feeling while also having enough light to be able to see exactly what you are doing in the mirror. The beds on Pacific Aria were super comfortable. 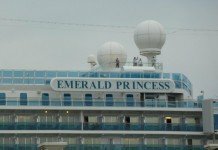 While my cruise was niche-themed as food & wine, one disappointing aspect was the lack of day activities beyond this (most fellow passengers appeared ill-informed and unaware it was a food and wine cruise when they booked). Activities such as trivia were hosted in the awkwardly shaped Dome nightclub and lacked the fun atmosphere that can be found when hosted in spaces where the audience can interact with each other. One particular element of frustration was that despite being food & wine themed, most of the food & wine related activities attracted an additional surcharge – for example, a wine and chocolate pairing session was $25 per person. 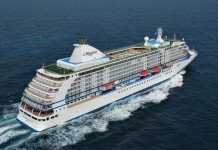 While i understand contemporary cruise lines such as P&O sustain their existence by supplementing low fares with onboard spend, the fact such a specific voyage carried additional charges for activities so closely related to its theme left somewhat of a sour taste in my mouth. The Dome Nightclub onboard Pacific Aria. One notch in the positive column for the entertainment which i enjoyed was the addition of a dedicated stage for performers by the main pool deck. This seemed to relax the musicians and allow them to focus more on their show. Pacific Aria’s retractable roof allows for the main pool to become an all weather destination, closing and opening dependant on the weather conditions on any given day. 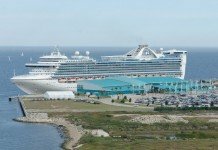 Such flexibility with its entertainment venues has seen P&O really expand its variety of themed evenings including the Bianco White Night and a Great Gatsby party, both spectacularly taking place on the pool deck. In contrast, I thought the stage performance of ‘Twice Upon a Time‘ we experienced in the theatre was rather amateur. 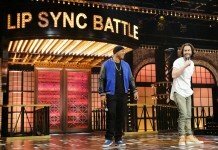 This particular performance didn’t feel overly well rehearsed or fluid. 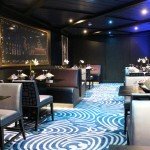 I strongly suggest that if you are planning on taking in a show aboard Pacific Aria, sit as close to the centre as you can as the shows make use of a large Times Square-style LED screen which can really only be seen front on, whereas seats to the side are unable to see large parts of the stage. Twice Upon A Time is a complex storyline and probably not for everybody. Go in with an open mind and see if it clicks. We didn’t partake in any of the P&O Edge activities such as the deck zipline as the weather wasn’t cooperating, however the additional charge facility did see lots of interest from the family groups onboard. 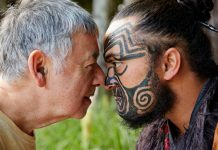 One thing Pacific Aria did well on our voyage was the use of the many intimate small venues dotted around the ship. The variety of choices from piano bars to cover bands providing an eclectic mix of hits from today and years gone by was something of a marvel on a mid-sized vessel. 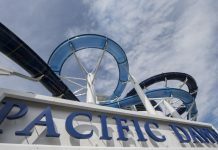 Pacific Aria has clearly responded to some initially critical feedback from passengers on its dining options, which initially criticised the experience as being poorly organised, understaffed and really just too rushed for its guests’ liking. We saw none of this and enjoyed several meal services with excellent service and high quality dishes. The recent move to make Asian venue Dragon Lady and opposing Italian venue Angelo’s complementary (see our story about the move HERE), we experienced little of the lines and slow service previously associated with table-service dining. Service in all three venues, including the Waterfront contemporary Australian restaurant, was efficient throughout our visit. If anything, the service was so good that it came off a tad impersonal, however all the dishes we received were tasty and well portioned. 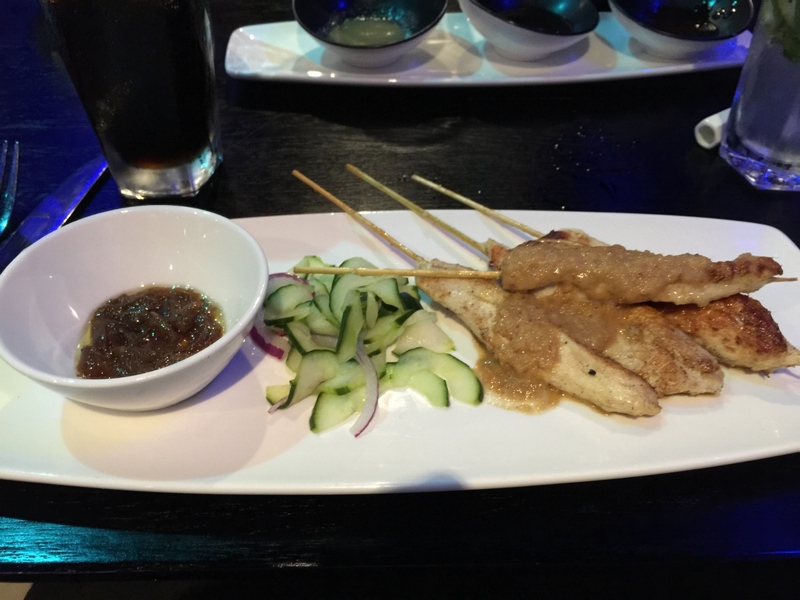 These Satay Skewers at Dragon Lady were delectable. 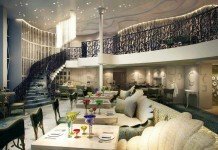 Pacific Aria is also one of the first ships to feature P&O’s new Pantry concept, which has taken the place of the synonymous cruise buffet. Like any mass service concept, we found that despite lines forming (as they do at other cruise ship buffets) they were fast moving and neither myself nor any of my fellow diners felt we waited any longer than on a traditional buffet. I also found the food tasted fresher and seemed hotter than food that has been sitting around on the buffet line. Another advantage from a hygiene perspective is that the only people touching the food are the servers on the other side of the counter. This will surely go a long way to combating any potential shipboard illness. 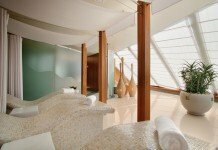 Pacific Aria is a great intimate vessel more akin to a small hotel than a megaship, however she still manages to pack a punch by the facilities and amenities she offers to guests. She is perfect for couples as her intimate size and numerous dining options provide for a great setting for a romantic getaway. 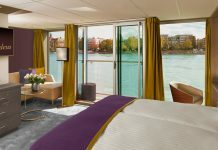 While the P&O Edge activities may provide some distraction for the kids, her small nature does not lend herself to offering all the family facilities some of the competition offer. For a full tour of Pacific Aria check out our Pacific Aria Photo Gallery.